As we head into the second race of the INDYCAR season, one thing is for certain. This rookie class of drivers is deep, talented and fearless. The Firestone Grand Prix of St. Petersburg was led by Formula 3 and Swedish import Felix Rosenqvist for 31-laps and two of other debutants finished in the top-10 with Colton Herta getting the checkered flag in the eighth spot and fellow American first-year driver Santino Ferrucci right behind him in ninth. The one essential component for success that strikes you when you watch Herta, Rosenqvist and the other first-year pilots is the fact that they are so patient. One would think that the energy and anticipation of the first race of the season would be one where emotions are at an all-time high, yet these drivers worked with the group, giving and taking what the course and drivers around them offered. A big “ear influence” for Herta is Al Unser Jr. The INDYCAR Hall of Famer has always been impressed by the driver of the #88 Harding Steinbrenner Racing machine but the other rookies in this year’s class have also caught his eye. One of the big differences for Herta coming from Indy Lights to now is the amount of completeness that is encountered on the track. That feeling of speed and the constant feeling that someone is pushing you all the time is something that you have to get used to and comfortable with quickly. With the added interest and just the shear competitiveness in INDYCAR comes added scrutiny as well. The pressure to win and get to the podium is the goal of every team. This weekend racing at COTA will be ultra-competitive as is every week in INDYCAR but the confidence that Herta continues to acquire after a top 10-finish in week one and the way in which he tested in Austin (P1 in three sessions and P2 in the other) in February gives this uncommon rookie a true confidence of a great result. Since 2007 (Ryan Hunter-Reay), there has been only one American to win Rookie of the Year honors and that was Alexander Rossi in 2016. 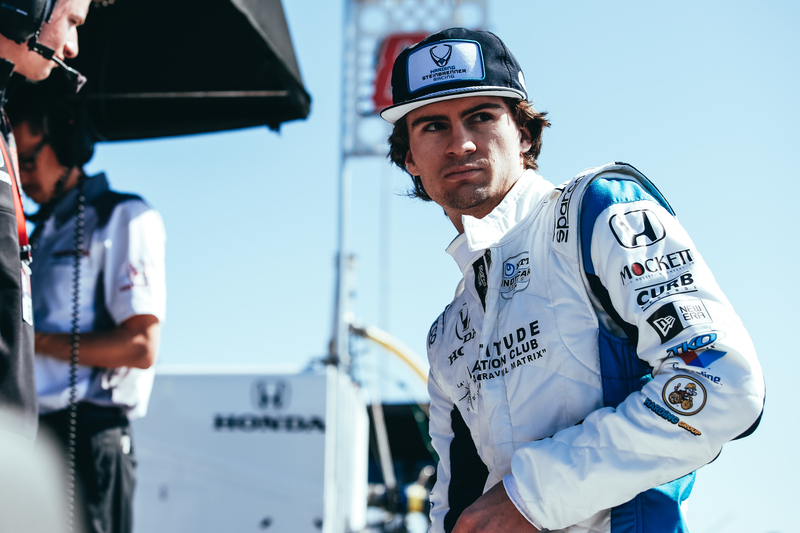 Herta looks to take another step toward that honor Sunday in Texas in the inaugural INDYCAR Classic.